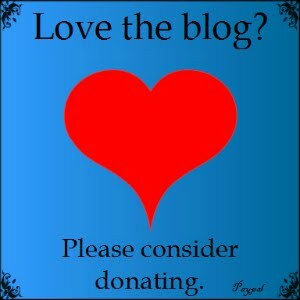 TBQ'S Book Palace: [Double Review]: "Soul Deep" + Giveaway! [Double Review]: "Soul Deep" + Giveaway! The last time Janet saw Jack West he was throwing her off his property. She was trying to do her job and keep the woman she was responsible for safe and he found the idea of her wanting to meet with each man on his ranch insulting. Now she was driving by the ranch in a blinding snow storm; and instead of asking for shelter she kept on driving. Then she was in a ditch. I stayed up to 2am, I could not put it down. I found Janet to be a strong independent woman in Striking Distance; and that respect grew even more in this novella. Janet has suffered so much since being shot while protecting Laura (Striking Distance), her life has changed and she is trying to adjust. One thing about the Cimarron it helps you heal. Jack. Well I think the only one who sees his age of 63 years and thinks of him as older is Jack. Every time this man is on a page I see hero all over him and the age has no baring. He is strong, sensitive, caring, handsome and has a melt your heart quality. Age is just a number when you think of Jack and he can give many a contemporary hero competition in many "Best" categories. He is a cowboy through and through and that is my favorite part of him. Yes Jack is in his sixties and Janet is in her later forties but do not think this is a mild romance. That man can kiss and a few other things too that might melt your e-reader. Jack drew Janet closer, the physical contact making his heart pound, his very blood seeming to come alive. It had been so long since he’d touched a woman, so long since he’d kissed a woman. At first, he was afraid he might have forgotten how, but then her arms locked behind his neck, pulling him closer, and he figured he must be doing something right. The plot is concise; as all Pamela Clare plots are; and crafted. Not a detail wasted. Readers like me who log minute details in their head as they read will be so happy with all the small things for us to enjoy. My favorite part - the majority of this book (yes I know it is classified a novella - but come on it's 174 pages!) is on the ranch and we get to just relax. It is sort of a virtual get away; Pamela Clare writes about the Cimarron and I just feel relaxed like I am up there among the aspens and horses. This is truly one of the best novella's I have ever read and definitely the best in 2015! 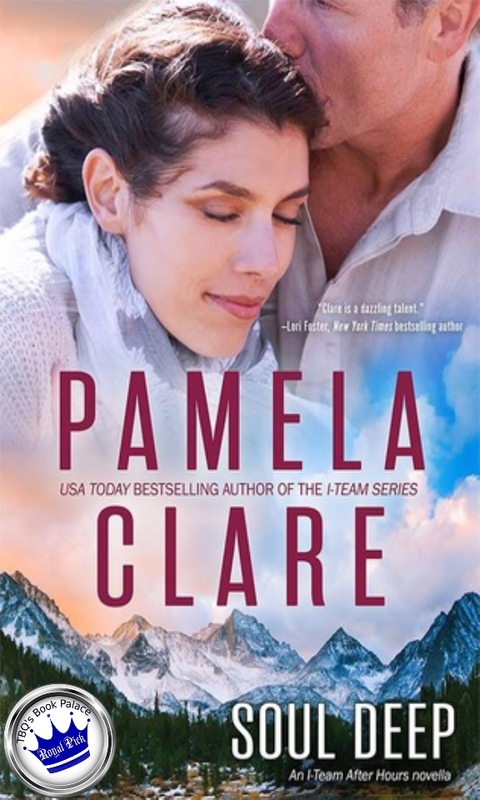 If you are not a fan of Pamela Clare's I-Team (WHY NOT - they are wonderful) you will not be lost - there is enough backstory that anyone new to the series will be able to follow (and THEN you will go out and read the rest!). These I-Team after hours novellas are a wonderful way for us to catch-up with all of our favorite characters, I am thankful that Pamela Clare is giving us this wonderful gift. I will stay up late to read everyone! Janet Killeen is a severely wounded, recovering FBI agent heading to some down time at a Colorado resort called Scarlet Springs. She knew bad weather was closing in, but didn't count on it coming so quickly. Now she has run off the road, no cell service and her car has been buried by snow plows. Janet attempted climbing an embankment to at least get up to the road. With her damaged leg, it's impossible. Jack West was heading to bring hay to his cattle in the storm, and noticed a car in a ditch. Passing it he notices back lights coming on and realized there was someone in the car. He climbs down and is shocked to see the young FBI agent he threw off his land some time ago. Janet is equally shocked at the sight of Jack West. He helps her to his truck and drives her back to his home. After a warm bath and a homemade batch of chili, Jack and Janet are catching up on their lives since their angry encounter. After a couple of glasses of wine, both feel the pull of attraction, but their age difference and Janet's injuries are holding them back. But, some people are meant to be together. This is a novella, but reads like a complete novel. There is suspense, a beautiful love story and scene's that brought tears to my eyes. This series by Ms. Clare is highlighting stories of some of the I-Teams secondary characters. Judging by Janet and Jack's story we're in for some excellent reading! It can be read as a stand alone, but I highly recommend reading the full I-Team series. You won't regret it. Ms. Clare also has a new release coming soon called Seduction Game. I'm anxiously awaiting getting my hands on that one! Kame and Pat each bought their own copies of this novella. 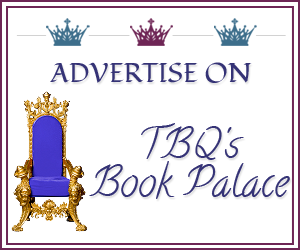 *Note: The quote used belongs to Pamela Clare; TBQ's Book Palace does not claim it. Kame's offering up ONE (1) ecopy of SOUL DEEP. Open INT. Thanks for the reviews, ladies! I really need to catch up on this series, so glad that you both loved this novella so! Both of you listed it as a "tear jerker" read, which is always high praise. What was the last book that kept you up late into the night/morning? 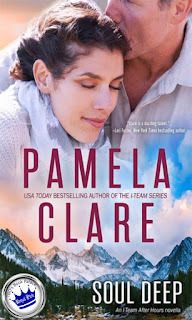 I love Pamela Clare's I-Team series! Thanks for the giveaway! :D Well, I always try not to stay up late, but sometimes reading does make me ignore the bedtime. The last book that kept me late into the night is "Small Favor" (Dresden Files #10) by Jim Butcher. It was an intense read for me. I'm a huge, huge Pamela Clare fan so I was super excited to read this one! The Cimarron is honestly a character itself - it has this incredible healing energy and this gorgeous sense of history and family... plus, you know, horses! I'm 45 so it was awesome to have a piece of the fabulous I-Team series that felt like it was specifically relevant to me (PS, you might want to check your series order there ;) ). I agree on the five stars and I urge anybody who hasn't tried this author to give her a shot - you will NOT be disappointed. I'm actually new to this author! I like the sound of this novella :) thanks for sharing! PENHALLOW by Georgette Heyer. Dying to see how it ended.